There is a study I cite often when teaching my Lifespan Development course about psychological well-being across ages that always resonates with students. Researchers took data from a 2008 telephone survey of over 340,000 people in the United States to investigate how components of well-being, such as stress, anger, worry, and sadness, tend to change with age. Between ages 18 and 85 general psychological well-being tends to follow a U-shaped curve – higher at younger and older ages with a nadir around the late 40’s and early 50’s (yes, I’m looking at you tenured faculty member!). Emotions like ‘enjoyment’ and ‘happiness’ tend to peak around college age, while ‘worry’ and ‘sadness’ stay pretty flat between college and people’s 50’s – only declining in old age. But the one psychological experience that people self-report to be highest around the college years is one we probably hear the most about from our students: stress. Stress, from a psychological perspective, is not necessarily a bad thing. Stress, in the right amounts, can be motivating and energizing. But feeling chronically stressed is clearly not a good thing. Ongoing perceptions of stress weigh on us emotionally, and have demonstrably negative effects on our health – both physical and mental. Ongoing stress, when not well managed, can trigger more serious mental health issues. Importantly for college students, however, psychological stress is by its nature a perception. When a student reacts badly to getting a ‘B’ or to the social slights inherent in college life, it can be tempting from a faculty perspective to be dismissive – to think, ‘wait until you get into the real world.’ And, in fact, a more diplomatic version of reality testing is built into many effective stress management techniques – such as those that help people recognize common cognitive distortions and tendencies to catastrophize. But it is important to remember that is not how it feels for many students, and to recognize that a significant number of students do experience very real stresses from classes, work, finances, friends, family, health, and the necessary identity work that is part of why college matters. So what can faculty do without sacrificing the academic rigor and boundaries that are important for long-term student success? The Cornell faculty resource guide that has served as a model for this on-line UP handbook has several practical suggestions specific to academic faculty, and then there are some broad principles from psychology of encouraging ‘distress tolerance’ that might be helpful as tips. Making efforts to know students as people – paying attention to names and interests to make sure students feel a balance of challenge and support. It can even be worth reminding them when discussing assignments that you are not grading them as people – just their work in your class, which is only one tiny dimension of who they are. Creating classroom contexts that encourage cooperation rather than competition – UP is generally pretty good about not making academics competitive in a problematic way, but small ways of framing assignments and grades can help students see classmates as colleagues rather than competitors. Being clear in expectations and communication – it can be frustrating for faculty to have to lay out all the little details of every writing assignment, or to create comprehensive review guides for exams. But even half-measures to be clear with expectations can help students focus on actually doing quality work rather than getting overwhelmed by details. 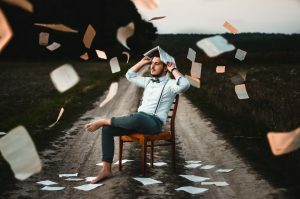 Evaluating students without causing undue stress – while maintain high standards, make sure to frame test scores in ways that make sense (eg, rather than having a 50 equal a B, adjust the raw score so an 80 equals a B – it works the same in your gradebook, but may be more palatable to students); make sure grades come with clear opportunities to improve and make future corrections; space out key assignments so that they fit the flow of the semester. Leading class meetings in ways that build confidence and respect diversity – recognize the difference between the start of the semester and the end of the semester in terms of what students should know, and work early in the semester to make sure diverse voices are heard with respect. Activities: Rather than just stewing in stress, do something healthy. Just about anything pro-active will do. Read. Cook. Clean. Go for a walk. Talk to a Friend. Exercise. Just don’t stew. Contributing: Get outside yourself by doing something for others. Make someone a meal. Offer to give someone feedback on a paper draft. Give someone a ride. Take yourself out of your own situation. Comparisons: Think about how things could be worse. Social comparisons can be painful, but they can also be helpful when we realize the ways we are lucky in many ways to be fed, safe at home, and getting a good education. Emotions: Dose yourself with the opposite of what you feel. If you are over-wrought, meditate. If you are depressed watch a movie that always makes you laugh. Push away: Distract yourself from your stress. This may not help in the long-term, but in the short term it can help us get our bearings back. Thoughts: Replace your stress with things that keep your mind busy. This might be a game of solitaire, or it might just be going ahead and studying for that test even if you worry you’ll never pass. Sensation: Self-soothe with things that feel good to your body as a way of calming your brain. Eat something comforting. Take a warm bath. Listen to your favorite music. Take a hike in pretty place. Again, distress tolerance is likely not a great long-term strategy for students – actively building coping skills and gaining insight through therapy are more helpful over time. And sometimes students just need someone to listen, and a space to vent. 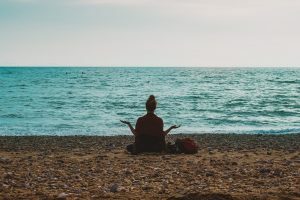 But other times faculty and academic staff might help remind students of healthy ways to deal with those immediate feelings of stress that our classes, intentionally and unintentionally, occasionally help to create. “Brett” started the semester well; bright, engaging, asking great questions, and keeping up with all the readings. Midway through the semester, however, things changed. Brett started missing class, and seemed to be paying less attention to personal hygiene. Brett also seemed to pay less attention to the class in general, and in writing assignments gave hints of angst and uncertainty. But in all these ways Brett was only slightly out of step with the rest of the class – student energy always changes mid-semester, students always get busy, and part of college is about angst. Right? If you find yourself worried about students like Brett, or if you have students with more obvious signs of psychological distress, it’s worth making an effort – both for the sake of the student, and for the sake of doing what you can to create a healthy learning environment for everyone. So what might you do? One short-hand system for responding is to consult, make contact, and refer. Consult. Check with other faculty to see what they know about the student, and talk to faculty experienced at dealing with mental health situations. Talk to your department chair or Associate Dean. Check with the student’s academic advisor to see if the student has been on track generally. Check with the Shepard Academic Resource Center (503.943.7895) to see if they’ve been working with the student or have advice. Talk with a counselor at the Health and Counseling Center (503.943.7134) about whether what you are observing merits further action. File an Early Alert or call the Early Alert coordinator (503.943.7709) if you want to make sure the student is on the radar for available services. Make contact. If it seems merited after consulting, reach out to the student to see if they are open to talking. Your job here is not to take on anything approximating a counselor role. Instead, making contact is about better understanding what is going on for the student and being able to provide information about resources available to students. Express concern in a positive way; note any observations you’ve made; and make yourself available to listen. If you suspect a student may be considering self-harm or suicide, then ask directly. All suicide prevention programs suggest asking direct questions does not give people ideas; instead it is often a relief and provides critical information. If the student indicates they are thinking about self harm, contact the Health and Counseling Center (503.943.7134) and/or Public Safety (503.943.4444) with whatever urgency the situation requires. If the student is not actively considering self-harm, then you can…. Refer. UP provides a good number of resources for student well-being, and helping students be aware of those resources does not mean you think there is anything particularly wrong – it just means you want students to succeed. For mental health counseling the Health and Counseling Center offers short term services that can lead to referrals for longer-term needs. For academic challenges the first stop is usually the Shepard Academic Resource Center – which offers academic counseling and peer mentoring when needed. Students can also benefit from connections with the residential life staff, campus ministry, the office of International Student Services, opportunities to exercise and recreate, opportunities to volunteer and give back, and other of the many student life options available on a small campus. Social isolation is often both and antecedent and consequence of mental health challenges; encouraging students to engage in ways that fit them can be a valuable service in itself. 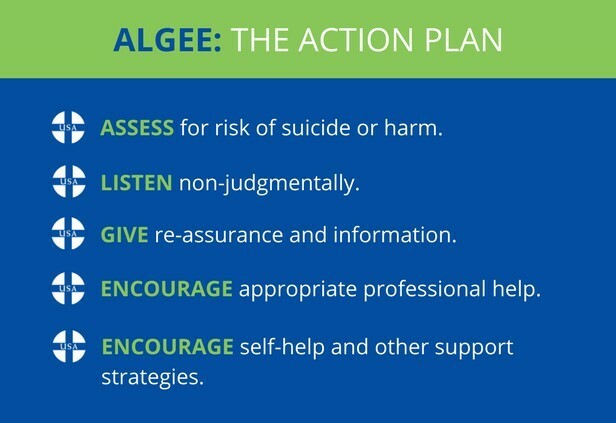 Beyond this system of consulting, making contact, and referral, there are several public health efforts toward suicide prevention and psychological well-being. These include a wide variety of programs designed to give anyone basic tools to respond to persons in distress. Two that have had some presence on the UP campus in recent years include the ‘Q.P.R.’ program and ‘Mental Health First Aid.’ Each program involves catchy abbreviations that might be helpful as quick guides for responding to students in distress. Q.P.R. stands for “Question. Persuade. Refer.” with an emphasis on asking people directly if you fear they are at risk of suicide or self-harm. Then persuading people to accept and seek professional help before acting. And then referring people to appropriate resources – including, beyond the resources above, taking advantage of crisis hotlines such as the National Suicide Prevention Lifeline (1.800.273.8255), the Multnomah County Mental Health Crisis Line (503.988.4888), or the Crisis Text Line (Text HOME to 741741). Training in these types of methods are occasionally available at UP, and regularly available in Portland through local county mental health programming – conveniently listed for the Portland area at gettrainedtohelp.com.